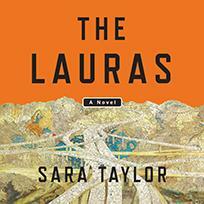 Sara Taylor brings the American landscape to vivid life in an unforgettable road novel that strikes at the heart of a mother-child bond. From the exceptionally gifted, Baileys Prize–nominated author Sara Taylor comes a dazzling new novel about youth, identity, and family secrets. Sara Taylor is a PhD candidate at the University of East Anglia in Norwich, England, working on a double-focus PhD in censorship and fiction. Her short fiction has been published electronically and in print in the Fiddlehead, the Fog Horn, and Granta, among other places. Her first novel, The Shore, was published in 2015.